Virginia is electing members of the House of Delegates, 3 statewide offices including Governor and Lt. Governor, school board members and some local offices as well. Whatever your party or policies, it's important for everyone to go to the polls. Remember, the Attorney General race in 2013 came down to just 907 votes; in 2005 Bob McDonnell won by just 323, and Democrats won a Senate majority in a 2014 special election that was decided by just 11 votes. So, every vote counts. Polls are open 6 a.m. - 7 p.m.
And I almost forgot to publish this (its actually kind of late considering how many people vote early) list of questions - and their responses - for Arlington County Board candidates to replace Jay Fisette. I not only ride a bike, I commute via bike, Metro and ART almost everywhere I go, because I do not own a car. I rent cars only to travel out of town or to run errands requiring their use. One of the principal reasons why I reside in Arlington is its network of bike trails and bike lanes that enable safe transit via bike. 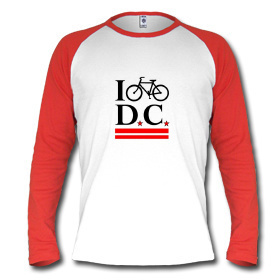 Cycling is an integral part of my life style, and I wish more Arlingtonians shared it. The County should conduct a joint ART-cycling advertising campaign to promote the benefits of bike on bus as a healthy alternative to the More Car Diet most residents currently enjoy. One slogan might be: THERE ARE ALTERNATIVES TO PARKING ON THE PIKE. 4) How would you approach the decision making process on a project which puts two Arlington priorities at odds? For instance, a proposal to build an important trail connection which would require cutting down a large number of trees or a proposal to build an important bike lane connection which would require removing a large number of parking spaces? As a staunch environmentalist, I am averse to cutting down trees for any reason. Given the tiny footprint of most bike trails, I find it hard to believe that large scale tree removal would ever be needed to facilitate a bike trail connection. By the same token, I am not averse to removal of parking spaces to facilitate a bike trail, provided that other convenient modes of transportation are available to patrons of the parking facility. 5) What work have you done in the past - as an elected official, member of an advisory body, or as an advocate – to promote or support cycling as a mobility option? As a longstanding member of Arlington Coalition for Sensible Transportation (ACST), I have lobbied various government agencies, including Arlington County Board, National Capital Region Transportation Planning Board, Northern Virginia Transportation Commission (NVTC), Northern Virginia Transportation Authority (NVTA) and the Commonwealth Transportation Board (CTB) for multi-modal solutions throughout Northern Virginia--including bikes--as an alternative to single occupancy vehicle (SOV) travel. 6) If elected, what do you hope to have accomplished to make Arlington a better place for cycling by the end of your term? By the end of my term, I hope to have doubled the number of bike commuters like myself in Arlington County. 7) Arlington doesn’t currently have a dedicated program or pot of money to build new, high-priority bicycle infrastructure. Would you support the creation of such a program, dedicated to the most-needed protected bike lanes and trails, in the Capital Improvement Plan? As a fiscal conservative, my priorities are spending for basic services like streets, schools, libraries, parks and public safety. Insofar as bike lanes fall under the "streets" category of basic services, I would support a line item in the CIP dedicated to that purpose. 8) Is there anything else you would like to share with the Arlington cycling community? Arlington is unique in that it provides cyclists with the means to a convenient, safe ride almost anywhere in the County and connections to cycling throughout the metropolitan area. The same cannot be said of nearby Fairfax County and the District of Columbia, where cycling is either dangerous or rigorous or both. We need to count our blessings. Yes. I ride for fun and to get places. I live in Lyon Park, which is a great place to ride. My office is so close to home that I usually walk, but sometimes I’ll ride to meetings or events in the R-B corridor. I ride for pleasure with my family, usually on the Custis, Lubber Run, and Four Mile Run trails. We recently enjoyed the Keenan Garvey Memorial Ride to raise funds for Phoenix Bikes. Improved bicycle accessibility improves the transportation network for everyone. For people in cars, each person on a bike is a person not sitting in a car in front of them. Each bike parked at a rack frees a parking space for someone in a car to use. When cycling is accessible, people have options when Metro is not serving their needs. 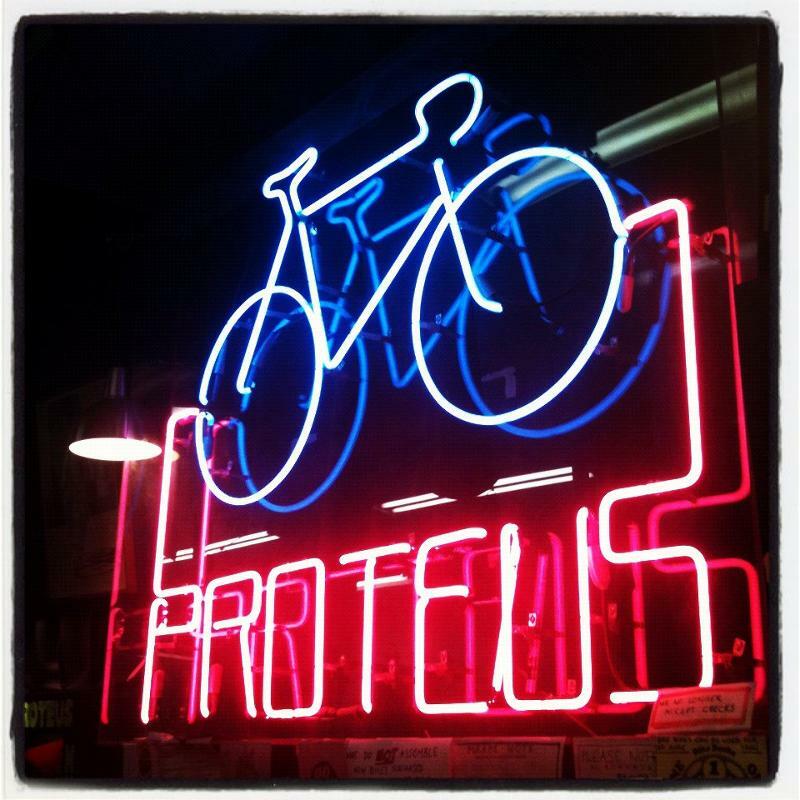 Bicyclists are eyes on the street - building community, supporting local business, and providing a deterrent to crime. Getting people to use bicycles improves public health, further decreasing costs to the County. Cycling is an important catalyst for economic development. A strong cycling culture attracts the creative class of workers whom developers and employers are seeking. In this highly competitive region, our bike network in itself is an economic development incentive and part of our allure for employers like Nestlé or Amazon. A comprehensive transportation network that works smoothly attracts businesses. In fact, research shows that people on bikes shop and spend more locally than automobile commuters do. Cycling also plays an important role in our discussion of affordability in Arlington. The two largest costs for many households are housing and transportation. Because riding a bike does not involve the costs of car insurance, car repairs, car storage and fuel, biking reduces household costs. When families in Arlington can get where they need to go without a car, Arlington becomes a more affordable place to live. Arlington should focus on making cycling safe and comfortable for everyone, and should become part of the Vision Zero movement, with a commitment to end all deaths and serious injuries on our streets while increasing mobility. We should become a League of American Bicyclists Gold Level Bicycle Friendly Community. Arlington County should adopt and incorporate the Bicycle Access & Networks Standards of the National Association of City Transportation Officials into the Bicycle Element of the Master Transportation Plan and ensure that all Arlington engineers receive the appropriate training to implement these Standards. From an infrastructure perspective, we should start with an explicit commitment to “8-80 design.” When we think about whether a streetscape works for biking, we shouldn’t think about people like me, who are cycling. We should think about whether an 8-year-old can safely bike to school. We should think about whether an 80-year-old neighbor feels comfortable cruising to the library on a bike. We already have a popular, robust, and comfortable trail network, but we must make trail maintenance a priority; and, we need to make the trails easier to use. We also need to look at adding more protected bikes lanes and more neighborhood bikeways or bike boulevards. In the long run, our bike network investments should ensure that there is a network of safe, comfortable well-signed routes that take people where they want to go throughout the entire County. But these programs and investments are not all about asphalt. Education and encouragement are important tools to make cycling a transportation option for more people. We should continue our support for BikeArlington, Arlington Transportation Partners and Capital Bikeshare. The County should work with the Arlington Public Schools (APS) through the Joint Committee on Transportation Choices (JCTC) to expand and develop the Safe Routes to Schools program - getting students to bike to school is especially important as our student population grows. We also need to educate those who don’t bike that investments in cycling infrastructure benefit the entire transportation network. Arlington County Police play an important role in making cycling safer and more comfortable for everyone. We need to train all Arlington County Police Department (ACPD) officers to ensure they know the laws that keep cyclists safe, and to work with ACPD to get officers on bikes. We could, for example, have one FTE-equivalent officer on bike patrol in the next fiscal year. We must include cycling in our long-term planning and in our budget. To do this I will fully support the Master Transportation Plan Bicycle Element Working Group for a full, robust update of the Bicycle Element. We must update our signals policy to make sure people can move efficiently through our intersections-- whether on bike, on foot, in a bus or in a car. We also need to include a budget that would implement the long-term vision of the Bicycle Element, and enable quick fixes that will make biking better (e.g. improved signage or curb cutouts). We must work with our neighbors and the Federal agencies and residents in Arlington to improve the network of destinations accessible by bike. We must find a solution for biking through or around Fort Myer, the Pentagon and Arlington National Cemetery. And we must continue working with the GW Memorial Parkway administration to improve the Mount Vernon Trail and other areas under their jurisdiction. We need to work with DC to improve bike access to all the Potomac River bridges, and with the Virginia Department of Transportation (VDOT) and NOVAParks to ensure that they maintain the trails under their purviews. Finally, we must maintain pressure on VDOT to secure a construction contract for a solution for the intersection of Lynn Street, Lee Highway and the Custis Trail. We cannot tolerate an “Intersection of Doom” on our trail network one more year. Arlington has a legacy of visionary leadership willing to make the tough decisions that require balancing competing priorities. I believe we reach the best decisions when we rely on accurate data, transparent and impartial analysis, and fair consideration of all viewpoints. It is the chief responsibility of the County Board to create the environment of trust needed for good decision-making by ensuring our county government conducts every transaction with our community in a totally honest, transparent, and open manner. Residents should never feel that an answer was already baked into a process. Evidenced-based decisions are at the core of a progressive community. Of course, we all recognize that perfect information is not possible. Therefore, we must subject our decision-making processes to an open dialogue, recognizing the role that is played by each priority within our larger community plan. After we bring all those concerned together, we need to conduct a fair, open, respectful process in which questions are fully explored and resolved to the greatest extent possible, resulting in thoughtful, balanced advice that can be presented to the County Board. While the opinions of any stakeholder must be treated respectfully, the County Board must ultimately exercise its authority to resolve competing priorities. In a complex society like Arlington, it is not possible for these tough choices to be decided in advance; each decision must be weighed and evaluated in its context and its time. As a representative of the Lyon Park Citizens Association in the 2000’s, I advocated for better accommodation of biking in multiple Clarendon redevelopment projects and when the Clarendon Sector Plan was updated in 2006. By the end of my term on the County Board, I would hope to have: updated the Bicycle Element of the Master Transportation Plan; have a program for maintenance and further development of our trail network; have a program for implementing both low cost, quick improvements the cycling network as well as longer term Capital Improvement Program funding to make the Bicycle Element goals a reality; and have Arlington designated as a League of American Bicyclists Gold Level Bicycle Friendly Community. I would expect the updated Bicycle Element of the Master Transportation Plan to include an implementation framework that identifies projects for funding in the CIP and I will support that funding. As already discussed, investments in cycling infrastructure are among the highest rate of return in total benefits per dollar invested. Even in an era when Arlington must support a regional funding model for Metro’s long-term viability, we should not allow cycling to be second-class transportation. The recent funding of the Custis Trail/Lee Hwy improvements (“Intersection of Doom”) provides an appropriate model and I will support dedicated funding in the CIP that leverages developer community benefit contributions, and state and federal grants to build out a 21st Century cycling network. Arlington has been a leader in this region at making cycling a transportation option for so many, but our neighbors are catching up. We have picked most of the “low-hanging fruit,” and it is time to show real commitment and investment in cycling. Having Danish family, I have visited Denmark periodically throughout my life. I have seen first hand the substantial benefits of a community built around cycling as a daily option. Kids have more freedom to safely explore their world. Parents need not spend precious time as a taxi service. Daily errands are more accessible and enjoyable and less of a chore. Commuting is cheaper, safer and healthier. The very young and the very old have mobility. And, as we see here in Arlington, you are just more likely to stop and chat with a neighbor and build those bonds of community that are immeasurable when you are cycling. Arlington has come a long way in this vision. I look forward to an opportunity to help us with the next leap forward. I do. I regularly take advantage of Capital Bikeshare. I love the program. On nice days, I enjoy riding the Four Mile Run Trail and Mount Vernon Trail. Biking within Arlington is a great way to exercise and enjoy our green spaces, and I look forward to working on issues important to cyclists if elected to the Arlington County Board. Cycling provides so many benefits to Arlington. First, it's great for your health and fitness. This is one of the main reasons I love biking, and a healthy community is a happier community. Cycling is also a wonderful way to reduce road congestion and our carbon footprint. I view cycling as an engine of our long-term economic growth. Arlington is in competition with other cities for the best and brightest. Often, younger individuals are turning away from car ownership and towards other means of commuting. Making Arlington more cyclist friendly will allow us to build upon our progress as an environmentally friendly and healthy community, while reducing traffic in our neighborhoods. Cycling in urban areas has made strong progress in safety and accessibility, and I believe Arlington should lead the way in furthering these efforts in the future. Lastly, since cycling is a great, inexpensive way of commuting or even just exploring outside of your neighborhood, cycling can be a great benefit to our communities and local businesses. Venturing out past your neighborhood on a bike gives you the chance to explore other parts of Arlington at a very low cost, finding new neighbors, new parks, and new businesses. Improving safety should be Arlington’s top concern for cyclists. We should continue to develop more bike lanes, while ensuring future and current lanes are safe for cyclists. Offset, protected bike lanes and increased fines for cars, trucks, or other vehicles blocking those lanes should also be a priority. Another integral part of getting more people to bike is the improvement of our roads and streets. When bike lanes aren’t available and cyclists ride in the roads, we need to ensure those roads are safe for all. Eliminating potholes, ensuring clear road markings, and maintaining our roads will go a long way towards ensuring cyclists’ safety on our streets. Arlington should also increase resources for reporting drivers who compromise cyclists’ safety, as well as expand bike-safety awareness campaigns like the Arlington County Police Department (ACPD) Safe Bicycling Initiative. Arlington should also become a member of the Vision Zero project, in an effort to coordinate with other communities on how to reduce all road fatalities to zero. If elected, I will work to ensure ACPD and all of our government services work with cyclists to help spread the message of cycling safety and the rights of those who choose to bike. We should expand Capital Bikeshare. It's been a tremendous success and has helped reduce traffic congestion and Metro crowding. We should also consider inviting dockless bike companies—like LimeBike, MoBike, or Spin—to Arlington, as a lower cost means to expand access to bikes, especially in areas not conducive to placing bike docks. My overall campaign theme is “Putting People First.” Essential to this is including opinions and concerns from a wide swath of the community before taking action. I’m also always hopeful a middle ground that satisfies everyone is possible. For instance, perhaps the trail could be crafted around large, older trees with significant canopies; the other, smaller trees that are removed to provide a trail connection could be repurposed for local construction needs. An equal amount of trees could be planted elsewhere throughout Arlington to minimize the environmental impact. When I was on the Montgomery County, Maryland school board we were sensitive to the benefits of cycling, so we built new facilities with ample rack space to encourage riding to school. As a staffer at the Embassy of Australia, I and other staff, were able to secure a shared-use embassy bike, complete with basket and helmet. I think Arlington has been fairly progressive compared to surrounding areas, but there is room for improvement. We have over 89 miles of bike lanes and trails in the county, but I think we can increase that number to improve cyclists’ safety. In addition to improving the physical infrastructure for cyclists, I want to work with the county board and the Arlington County Police Department to improve cyclist-awareness programs on our roads and have ACPD work with the cycling community to educate all commuters about how to remain safe on the roads. I also support the expansion of bike-sharing programs in Arlington. Capital Bikeshare in Arlington accounted for over 500,000 miles of riding last year. That's a lot of pollution taken out of the environment and a good reduction in car traffic across the county, but I think we can double those numbers in 5 years if we make it a priority. Absolutely. A dedicated program for improving and expanding protected bike lanes and trails would allow these programs to move ahead without fear of losing funding. A dedicated program like this would show a long-term commitment to cyclists’ issues in Arlington and would allow for greater long-term planning within our community. We should also pursue a sister-city biking program where we look at jurisdictions with excellent biking infrastructure, like Portland, and see what lessons we can learn from them. As a progressive, I also believe that development should be done fairly and wisely. As developers build larger residential and commercial developments, the county board should look at ways to encourage these developers to incorporate bike-sharing arrangements and bike-care facilities, while also reducing traffic congestion that comes with the growth associated with these large developments. I'd like to thank the cycling community for taking an interest in our local elections. Democracy only works if we participate and vote. Cyclists are an important part of our community. The election wouldn't be truly representative without you, so please vote! Cycling is integral to transportation in our community. As an inexpensive, healthy, environmentally-friendly way of getting around Arlington, cycling is sure to grow among our friends and neighbors. If elected, I plan to make cycling a key part of our county planning in the future and ensure that all who want to bike can and can do so safely. My campaign is about putting the people of Arlington first. If you have any suggestions on how to improve the state of cycling in Arlington, please reach out to me. I'd love to get your thoughts. You can share your thoughts with me, learn more about my platform, and find out how you can assist my campaign at http://VoteMcCullough.com. You can also follow me on Twitter at @VoteCMcCullough. Thanks to Chris for putting this together again this year. Hey, there's another election in Virginia next week. It's a special election to fill 3 empty seats created by the 2016 general election. While they're outside of my usual coverage area, I know some people from other parts of Virginia, like Richmond and Virginia Beach, read the blog. If you weren't aware of this special election, here's your call to go out and vote. Unfortunately, the deadline to register has already passed. According to the experts, only one race - the one for House Delegate in Virginia Beach - is competitive, and neither candidate has any info about biking on their website (which is not really a surprise). Work alongside Lt. Governor Ralph Northam and Secretary of Transportation, Aubrey Layne, to reduce congestion. Update: But the more important race may be the one for the Virginia Senate in Central Virginia where Democrat Ryant Washington, running in Central Virginia’s Senate District 22 against Republican Mark Peake and independent Joseph C. Hines. Gov. Terry McAuliffe is involved in the race because a Democratic upset in the Republican district would give Democrats control of the Virginia Senate. Did you know there is a presidential election tomorrow? And right here in our own America? I know that's hard to believe because it seems like we always have them and Canada never does (or is that the Stanley Cup?) but it's true. In 1999, as First Lady she worked with Rails to Trails on the Millennium Trails program, which "recognized, promoted and enhanced or built more than 2,000 trails across the country, with a goal of engaging Americans in marking the new millennium and preserving a lasting legacy." It designated 16 National Millennium Trails, including the East Coast Greenway and American Discovery Trails, both of which pass through the DC area. It also named 50 Millennium Legacy Trails, of which the Metropolitan Branch Trail was one. She continued to support trails while in the Senate, most notably New York City's High Line. In her transportation fact sheet, under the sub-heading "Expand public transit options to lower transportation costs and unlock economic opportunity for Americans in opportunity deserts" there is this line "She will also support bicycle and pedestrian infrastructure—reducing carbon emissions, improving public health and safety, and further providing Americans with affordable transportation options." Sponsored a bicycle race bearing his name. Has an infrastructure plan, but it doesn't mention bikes or biking. Michael Sriqui is running as a write in candidate for ANC3D04 and received the endorsement of GreaterGreaterWashington this week. But, it's worth nothing that he is a strong opponent of the turning the old Glen Echo Trolley right-of-way into a trail. Reportedly, he lives immediately adjacent to the ROW and doesn't want the trail in his backyard. I can't find a lot to back this up, but he did attend one of the PCA Trail Committee Meetings and get mentioned in the minutes. Michael Srigui (sic). Raised questions about the authority of the Committee, in light of the December 2013 PCA meeting when the question of studying the possibility of a trail along the ROW was discussed. Not exactly hard opposition, but it's always more palatable to argue process then to say "I don't want people riding bikes beyond my fence line." Virginians, Don't forget to vote today (the way I forgot to hit "publish" on this post until just now). Fairfax Advocates for Better Bicycling (FABB) recently released responses to the FABB Candidate Surveys. FABB sent a list of questions regarding bicycling in Fairfax County to candidates for the Board of Supervisors and a separate set to FCPS School Board candidates. A total of 12 of 19 responses were received from the Board of Supervisor candidates and 19 of the 24 from the School Board candidates. Another recommendation of the Bicycle Master Plan, funding Bike Fairfax in FY17, if funds are available was supported by most . One respondent did not support this recommendation. FABB is encouraged with the support for improving bicycling in Fairfax County exhibited by the Board of Supervisor candidates and School Board candidates FABB does not endorse candidates. Alexandria’s Bicycle and Pedestrian Advisory Committee surveyed candidates for Alexandria Mayor and City Council to gain their perspectives on issues for people who walk and bike. Let’s take a look at how the candidates stack up. We received responses from one announced mayoral candidate: William “Bill” Euille, and five City Council Candidates: John Taylor Chapman, Tim Lovain, Monique Miles, Townsend “Van” Van Fleet, and Justin Wilson. Monique Miles: Traffic mitigation in the King/Union Street neighborhood (“K/U”) must be designed to accommodate all types of commuters, no matter which mode of transportation they use. In the K/U area especially, residents deserve creative solutions that push the envelope of urban planning. I support working with community stakeholders to come to an agreement on signage and road improvements that will make our streets safer for automobiles, bikers, and pedestrians alike. In an ideal urban Alexandria setting, adequate infrastructure is maintained to keep commuters safe as more people choose alternates to the automobile. First, for roadways to be safe, there must be appropriate and visible signage that warns all three groups (drivers, bikers, and pedestrians) of hazards and reminds them to take care on the roadways. While bike lanes are not always feasible, signage and street markings can make residents more aware of their surroundings. Townsend “Van” Van Fleet: The Pedestrian and Bicycle Master Plan is currently being updated by the city appointed BPAC. However, there needs to be law enforcement (could also be traffic enforcement personnel or even school crossing guards) presence at that intersection during the weekend peak times as bikes, cars and pedestrians are all fighting to have access. Nothing moves. This has to change for the better. Monique Miles: The Alexandria LocalMotion program should continue to implement common-sense repairs to our transportation system. As mentioned earlier, complete communities lead to a healthier, happier, and more sustainable population. City Council and staff must be more diligent in implementing those important recommendations to improve the street system of Alexandria and engage community members when discussing small area plans. I would also engage with both the Transportation Commission and Urban Design Board to make sure citizens are involved in the process of improving our City’s transportation infrastructure. I would also use the criteria set forth in 2011 by City Council and Staff and make sure that the criteria is continually being revisited as Small Area Plans are discussed, studied, and implemented. An example of this would be to focus on the upcoming implementation of the Beauregard Small Area Plan and ensuring that important road safety measures are included. Tim Lovain: I regret that the bicycle and pedestrian chapters of the transportation master plan have not yet been fully implemented and I am pleased that those chapters are being reviewed for possible updates. Sometimes implementation occurs more slowly than intended, especially when City budgets are tight as they have been in recent years. We need to keep our eye on the community goals in our City plans and move towards implementation as promptly as we can. We should also prioritize unfinished efforts to make sure that the resources that are available to us are being well-spent. The City also needs to engage with its citizens to help determine these priorities and to find ways to better engage our citizens in helping us achieve our plan goals. Tim Lovain: Two recent studies, one by WMATA (Metro) and one by the Transportation Planning Board, came to the same conclusion---one of the most cost-effective transportation improvements that we can make in this region is to improve pedestrian and bicycle access to Metro stations. There are several such improvements that we should make in Alexandria in coming years. The new path from the southern end of the Potomac Yard development to the Braddock Road Metro station is great, but soon we should built a tunnel to shorten that route. We need to proceed with the multi-modal bridge connecting Cameron Station to the Van Dorn Metro station. Filling in some missing links in our bike/ped paths in the Eisenhower Valley will help improve bicycle and pedestrian access to several of our Metro stations. Justin Wilson: I am a regular user of Capital Bikeshare and continue to support its expansion to further the important role it has in our City’s overall transportation picture. Through both City appropriation, leveraging Federal and State grant dollars, and developer contributions, we will continue to have opportunity to expand the network Citywide.